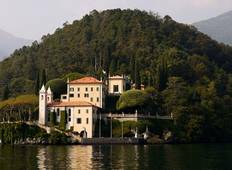 Discover amazing tours through Lombardy visiting places like Milan and Bellagio. Most travellers enjoy exploring our Lombardy trips in September, making it the most popular time of the year. "The itinerary was interesting however most of the hotels are not centrally located...."
"If you are looking at this tour then don't hesitate, it was the best thing we did..."
"I just completed Intrepid's Active Tour of Italian Lakes ZGXI170924 departure date..."
"Great guide and driver. Meals were poor. I know it is difficult to have meals for..."
"Hotels being within walking distance of transport was a big bonus!! Train transport..."
"Our Italy bike trip was beyond our expectations! Mero was so well organized and prepared!..." "Luca is a really kind and friendly person with detailed knowledge about biking and..."
"My daughter and I spent a wonderful week with Road Bike Tours Italy riding through..."
"We had a wonderful tour director, who made our trip relaxing, plenty of sights, lovely..."